ROUND eight marks the penultimate round of the TAC Cup Girls home and away season, intensifying the fight for a spot in the finals. Many teams have made some big changes through bringing in key players, while others have been faced with some big outs. The Cannons will be without Molly Hemburrow and Grace Dicker but bring in a host of other players to fill the void. After missing round seven, forward, Terira Fry will take the field and be a good option inside 50 for the Cannons. They will also be pleased to see the return of star defender, Molly Warburton who will help to boost Calder’s line-up and complement the likes of Madison Prespakis in the middle off the ground. The Stingrays have brought in six players for their round eight clash against the Cannons, with the likes of Jess Guy-Toogood down in defence. Key forward Brooke Struylaart will also return and will offer a great target up forward for Dandenong, while Natalie Eve Taylor will also take her spot in the forward line alongside Struylaart. After a good win last week, the Eastern Ranges have not made many changes, only bringing in a handful of players. A big inclusion for the Ranges is the return of mid/forward, Olivia Meagher who will provide an extra spark across the ground. Brittany Cubitt, Sophia Zappia and co-captain, Charlotte Wilson have also been named in the line-up. Murray will be without key player Rebecca Webster who provides great composure and footy smarts with ball in hand but will be boosted with the return of Ada Chessor and damaging forward Julia Harvey. Another big in for the Bushrangers is Sophie Damon who is a consistent and versatile player, while Grace Kelly has also been named to start up forward. 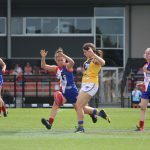 In hope of claiming their third win for the season, the Oakleigh Chargers have made a few changes to their line-up, bringing Elisabeth Jackson and Tricia Cowan. Speedy midfielder Alana Porter has also been named which will help to boost the midfield depth for the Chargers. Absent from the clash will be Zoe Makris and Georgia Byrne who will watch from the sidelines. 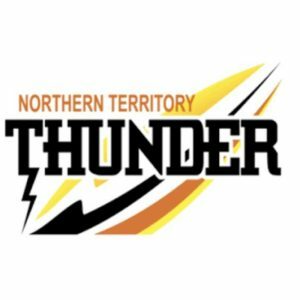 The Western Jets will be pleased to see the return of talented forward, Caitlin Greiser who is a scoring machine while Eden Cassar has also been named as an emergency for the Jets clash against the Chargers. The likes of Allison Chivell and half-forward Jasmine Goodman have been not been named in this week’s squad. Both teams have brought in the big guns for the top-of-the-table clash. The Falcons have made five changes to their line-up in hope to keep their undefeated record in-tact. After missing round seven, star defender, Denby Taylor is set to take the field along with midfielder Tarryn Love who has been absent from the team due to injury. Jemma Dover and Eliza Shannon have also been named in Geelong’s extended squad. The Knights have brought in the cavalry ahead of their clash against the first-placed Falcons, naming leading goal-kicker Alyssa Bannan to help cause havoc up forward for Geelong. Abigail Bennett will also return for the Knights, helping to boost their forward line while the likes of Maeve Chaplin and Sarah Moore will be watching on from the sidelines. 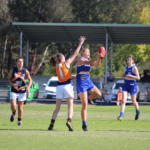 Though Sandringham are going from strength to strength they have made a host of changes, bringing in key defenders Nayley Borg and Chelsea Bowen to help shut down the Pioneers forward line. Isabella Stutt has also been included for their clash against the Pioneers while Molly Denahy Maloney and Ruby Woods have been listed as omissions. On the other hand, the Bendigo Pioneers have only made three changes to their starting line-up with Tess Goodrem returning. The Pioneers will be without Dayna Kelly Guthrie, Maeve Tupper and forward Grace Barton for the trip to Sandringham. The Rebels rung in the changes for their match against the Power, making eight changes to their squad. The changes will see the inclusion of Chloe Leonard and Ella Bibby who will start in the forward line for Greater Western Victoria (GWV). 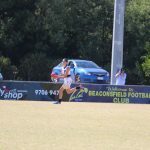 Georgia Pidgeon and Hannah Simpson will be missing from defence but the Rebels have included the likes of Lauren Sykes to help fill the void down back. After narrowly going down in round seven, the Gippsland Power will be pleased to see the return of forward, Nikia Webber who provides a great target inaide 50 and across the ground. Leila Raymond and Jennifer Ross are also set to take the field while Hayley Balmer and Tylah Whitehead have been named as emergencies for the match.